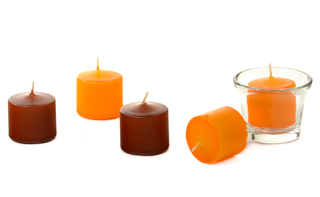 Here at Keystone Candle we make a lot of different types of votive candles in a variety of waxes, colors, fragrances, and burn times. 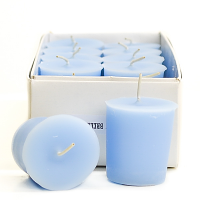 Our hand poured scented and unscented votive candles will burn for approximately 15 hours. 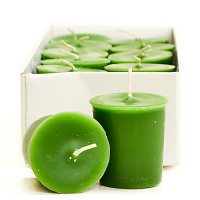 We also make unscented colored votive candles that will burn for around 10 hours. 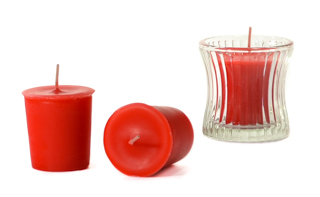 Burn times are greatly affected by the size of the votive cup that a candle is burnt in. The larger the votive cup, the faster the votive will burn because the wax can spread too far from the flame to use as fuel. 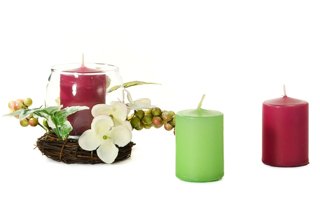 We manufacture votive candles in soy and paraffin wax. 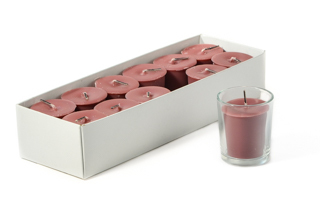 Our white bulk votive candles for weddings and events are a very popular and come in 15 hour and 10 hour burn times. 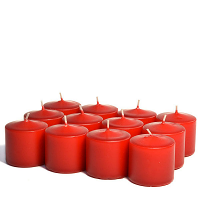 Scented votive candles are best used in small rooms, bathrooms, or offices because they do not have a large liquid wax pool to give off a lot of fragrance at a time. 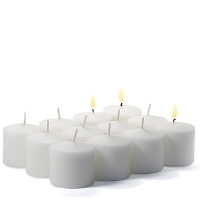 Exactly what I wanted for white votive candles.